Arabesque Hotel i Kairo, Egypten : Boka nu! 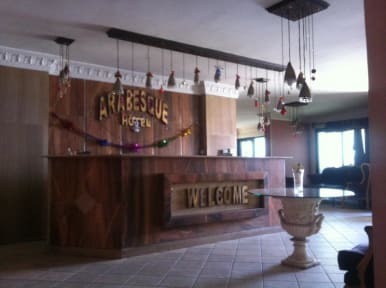 Welcome to the Arabesque Hotel. Our location in the heart of downtown Cairo is the perfect starting point for discovering the city. Come and relax while enjoying our spacious common area with floor to ceiling windows overlooking the city and the Nile. Our clean spacious rooms are equipped for your comfort. 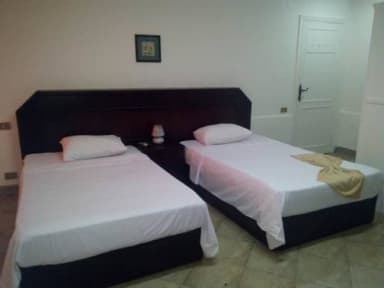 We provide A/C, Satellite TV and rooms with and without a private bathroom. Our well trained staff are ready to answer any question you have and look forward to making your experience in Cairo and Egypt truly memorable. Our hostel is located in the most magical spot of Cairo. The hotel has been warmly recommended by most major guidebooks, including Lonely Planet, Le Guide de Routard, le Petit Fut and more.